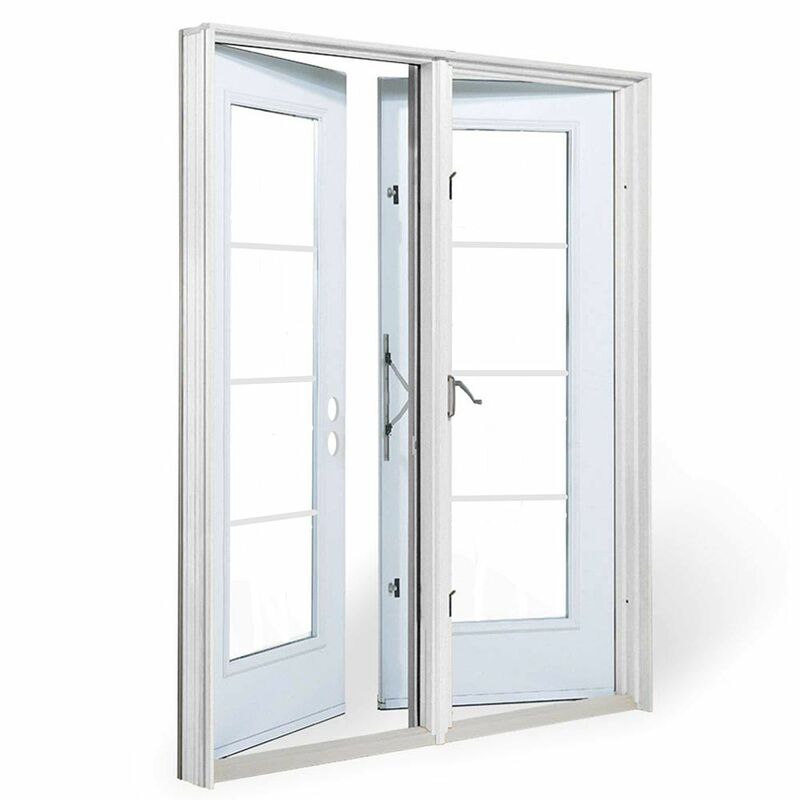 The essential link between your indoor and outdoor living spaces, patio doors are the primary access points used by guests and inhabitants of the home to reach their decks, balconies, porches, and backyards. One panel opens outwards as an entryway. The second panel opens outwards with a crank to allow for ventilation. ENERGY STAR Certified LowE glass reduces damaging UV rays. Lifetime accidental glass breakage coverage. Primed finger joint wood door frame, ready to paint. Our Real life warranty is Industry-leading coverage that allows you to be certain of your investment. 5 ft. Garden Door, 4 Lite door glass Low E argon, RH outswing 4 9/16 inch jamb west - ENERGY STAR® The essential link between your indoor and outdoor living spaces, patio doors are the primary access points used by guests and inhabitants of the home to reach their decks, balconies, porches, and backyards.